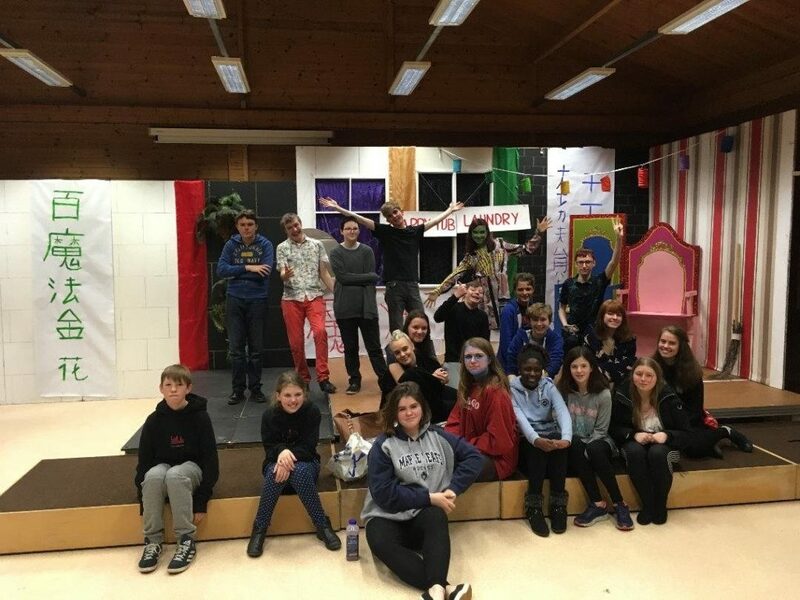 Hot on the heels of our successful production of Sinbadaladdin at Hinchingbrooke Country Park Centre, the group has been invited by the National Theatre to take part in the Connections Project for 2019. The annual project brings together a number of youth theatres from around the country and places are highly sought after. HYT has been asked to perform a specially commissioned play entitled Flesh, by Rob Drummond. The play is to be performed three times in Huntingdon in early March and then at the Garage Theatre (Norwich Playhouse) on April 4. This is our third invitation to perform in the Connections project. 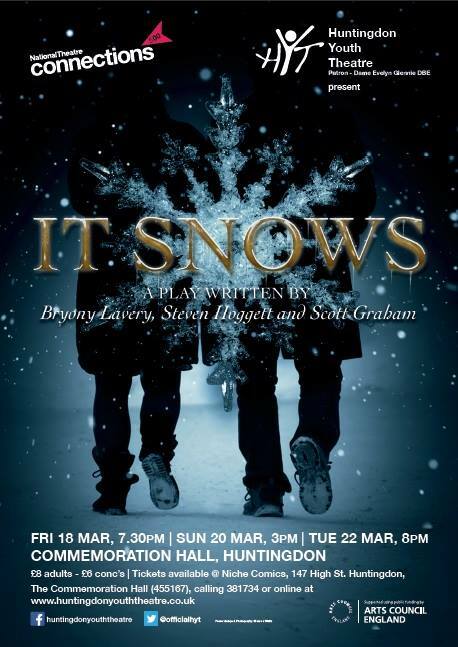 In 2016 HYT was invited to perform It Snows at The Junction, in Cambridge, and in 2017 performed Monstrum at the Royal and Derngate in Northampton and then went on tour to Wertheim, Germany, with the play. The group have been supported by the Shakespeare at The George Trust, a charitable foundation that regularly makes funds available to local organisations, groups and individuals to further theatre and theatre skills in the region. SaTG partly funds its bursaries using profits from its award-winning annual open-air Shakespeare production, performed in the Jacobean courtyard of The George Hotel in Huntingdon, and HYT is the recipient of the prestigious Mo Pearce Bursary in memory of the late Mo Pearce – former trustee, director and actress with SaTG. Rehearsals for Flesh begin on January 8 at HYT’s home venue of Hinchingbrooke Country Park Centre, where the group meets every term-time Tuesday between 7pm-9.30pm. There is an opportunity for young actors, aged 13 and over, to be involved in the project. No previous experience is required to join and anybody interested, should contact HYT via its Facebook page, online at www.huntingdonyouththeatre.co.uk or by calling Dominic Whitehead on: 01480 380297. A little while ago we announced we would be working on the National Theatres Connections program in 2016. Last weekend director, John McCusker was working in London with the NT where he took part in workshops with other Connections directors and met the author of our production.